SARASOTA – The Sarasota Bay Water Festival announced its music lineup today for Saturday, November 17 at Ken Thompson Park in Sarasota. The selected performers for the free festival include guitarist Ben Hammond, The Lauren Mitchell Band, Stumble Creek, Matt Gerhardt & Undertow, and Cort Farris & Fe Band. The purpose of the festival is to celebrate the importance of Sarasota Bay to the region’s environment and economy. Guitarist Ben Hammond is the performing MC for the daytime festival. He has shared his unique brand of live-looped Acoustic Soul-Pop with audiences at hundreds of venues and events including the Montreal Jazz Festival. Ben was voted Best of the Suncoast in a Creative Loafing reader poll in 2010. The Lauren Mitchell Band includes blues singer Lauren Mitchell, organist Mike Hensley, bass player and vocalist Kevin Voigt, and guitarist Bob Dielman. Lauren acknowledges Etta James, Koko Taylor, Janis Joplin, and Aretha Franklin as women that have influenced her passion for singing and performing. Stumble Creek is a collection of some of the areas best pickers who present what they call “jammy bluegrass.” Mandolin player Andy Karpay has been entertaining audiences for decades including a national tour with C&W Mow Company. He currently plays with Swampgrass and The Florida Mountain Boys. The other band members include Austin Kennedy on guitar, Howard Bard on banjo, and Doug Conro on bass guitar. Matt Gerhardt & Undertow launched in 2011 and their sound fuses reggae and funky blues with memorable lyrics. 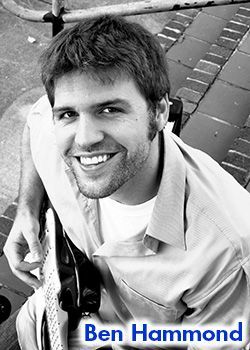 Cort Farris & Fe Band combines various music styles including Latin Jazz. Cort is a premier performer on the Steel Pan. Matt and Cort both live in Sarasota. The theme of the inaugural water festival is Enjoy the Bay and the highlights include a Creative Arts Tent showcasing some of the area’s top wildlife photographers selling art items, a display of the winning submissions to the I Love Sarasota Bay Photo Contest, vintage boats, food trucks, and exhibits promoting boating, fishing, paddle board sports, scuba, birding, and other Bay recreation activities. The Observer Media Group is sponsoring the Creative Arts Tent. Florida’s first “iceberg” will be unveiled at the festival thanks to the creativity of Richard Herzog, a Sculpting Professor at New College of Florida. The free festival will also showcase local food trucks and a 4pm show by the award-winning Sarasota Ski-A-Rees Water Ski Show Team. Guests can also visit the popular Mote Aquarium at no cost if they receive a special stamp at the festival. Triple 3 Marketing (T3M) is managing the festival and the Sarasota Bay Estuary Program (SBEP) is the host sponsor. SBEP is one of the 28 National Estuary Programs in the U.S. T3M is the same team that produced the E-Fest Green Living Music & Arts Festival in 2007 and 2008. More than 45 organizations from the public and private sector are sponsors. They include many of the leaders in local efforts to restore and protect Sarasota Bay waters, habitat and wildlife.